W & J Frankland Builders is a leading general contractor serving the West Chester, Exton, Chester Springs, Downingtown, Malvern and Coatesville areas. Our professional team specializes in design-build, remodels, and exterior renovations. We provide a seamless connection between design and the construction process, allowing our clients to be a part of the entire project from conception to completion. As your general contractor we promise to complete your job on time, on budget and with customer satisfaction. W & J Frankland Builders have been in business since 1974 and have been proudly serving the Chester County community. We provide outstanding commitment and craftsmanship to every project. Whether you want to remodel your kitchen or bathroom, our professional team devotes their full attention to making your home warm and inviting. Our staff is well trained and has extensive experience, guaranteeing that each project will be completed in a way that exceeds expectations. 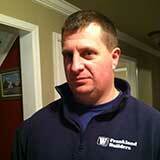 John is the heart and soul of W&J Frankland Builders. 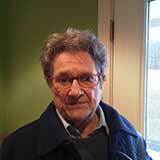 John started W&J in 1974 with his brother Bill after serving our country in the U.S. Army in Vietnam and Germany. He then graduated from Penn State University. John is married with two sons and three grandchildren. 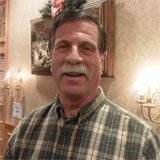 He is very involved in Coatesville Bible Fellowship where he serves as Facility Chairman. David has served W&J Frankland Builders in a full time capacity since 1996 as lead carpenter, project manager and designer/estimator. He graduated from Penn State University with a degree in Engineering, is married and has three children. 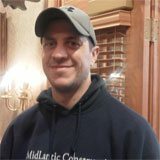 He spends his ‘spare’ time involved with his kids activities and his church, and recently completed three Tough Mudder events. James fills the role of lead carpenter at W&J and daily sets the bar for the expected quality of workmanship. His skills are unsurpassed. He has worked with W&J Frankland since 1999. James attended Penn State University where he met his wife. He fills his personal time with softball, volleyball and working on his own home. Nancy works tirelessly as Office Manager and Bookkeeper for W&J Frankland. She brings a personal touch to the first contact with most of our customers. Nancy watches closely over all projects W&J Frankland Builders completes, and finally in 2012 had her kitchen remodeled! Nancy enjoys spending time with her grandchildren and cheering for the Dallas Cowboys. Please contact our professional team at W & J Frankland Builders with any questions regarding our services or a future project you have. We look forward to hearing from you.